Is a social media campaign through Facebook. All information on how to enter this competition forms part of these Terms and Conditions. Participation in this campaign is deemed acceptance of these Terms and Conditions. The promoter is Meriton Serviced Apartments ABN 69 115 511 281, Level 11, 528 Kent Street, Sydney NSW 2000. Entry is only open to Australian residents, or have permanent resident status in Australia, and aged 18 years or over. Employees (and their immediate families) of the Promoter and agencies associated with this Promotion are ineligible to enter. This promotion will commence on Wednesday 5:00pm (AEST) 18 January 2017 and end at 10:00am (AEST) on Wednesday 1 February 2017 (the Promotional Period). Sign up to the Meriton Serviced Apartment database to receive promotional material. Post a comment on the post, and tell us in 25words or less, why you should win the Dyson Supersonic Hairdryer. It is each entrant’s responsibility to adhere to the requirements of the Terms & Conditions, the prevailing terms and conditions of Facebook and the Promoter’s websites respectively. The Promoter will take no responsibility for any comment that has been posted incorrectly. Eligible Entrants must register 1 valid email per person. Entrants agree to compensate the Promoter against any costs that the promoter may incur as a result of any infringement of intellectual property rights. Entrants grant the promoter the right to add their email to the database and be contacted with promotional material. The winner will be judged on creativity and the promoter’s decision is final. The promoter will not enter into correspondence regarding the competition result. The Promoter reserves the right to verify the validity of entries and entrants, and to disqualify any entry which, in the opinion of the Promoter, includes objectionable content, profanity potentially insulting, inflammatory or defamatory statements, disqualify any entrant who tampers with the entry process, who submits an entry that is not in accordance with these terms and conditions of entry or who has, in the opinion of the Promoter, engaged in conduct in entering the promotion which is fraudulent, misleading, deceptive or generally damaging to the goodwill or reputation of the promotion and/or the Promoter. The Promoter reserves the right to cancel or amend the competition and these terms and conditions without notice in the event of infection by computer virus, bugs, tampering, unauthorised intervention, fraud, technical failures or any causes beyond the control of the Promoter, which corrupt or affect the administration, security, fairness or integrity or proper conduct of this promotion. The promoter will not be responsible for any loss or costs incurred by the entrant in relation to such cancellation or variation. 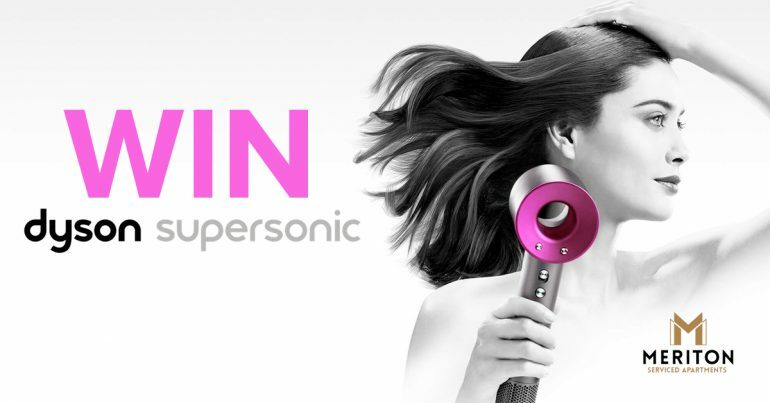 The prizes will be 1 Dyson Supersonic Hairdryer valued at $599 RRP. The prize is to be shipped to an Australian address only. All prizes are non-transferable, non-refundable, non-exchangeable, non-replaceable and non-redeemable for cash. The prize must be claimed within 72 hours after the winners have been notified. If any prizes remain unallocated or unclaimed, the prize will be awarded to the participant who would be the winner had the original winner been excluded from winning. Winners of this promotion agree that their identity may be disclosed in winner announcements and/or promotional material. Facebook has no association or jurisdiction over the competition. This promotion is in no way sponsored, endorsed, or administered by, or associated with Facebook. Participants are providing information to the promoter and not to Facebook. Dyson has no association or jurisdiction over the competition. This promotion is in no way sponsored, endorsed, or administered by, or associated with Dyson. Participants are providing information to the promoter and not to Dyson. By entering this competition, entrants accept the above stated Terms & Conditions of Entry.